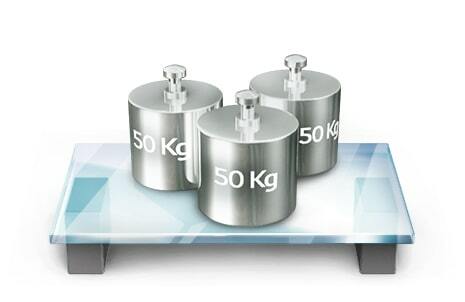 Thanks to high density insulation technology, LG can make more usable space with same exterior size. 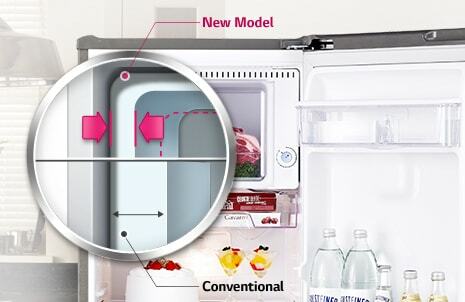 You can store more and enjoy more with LG’s refrigerator. 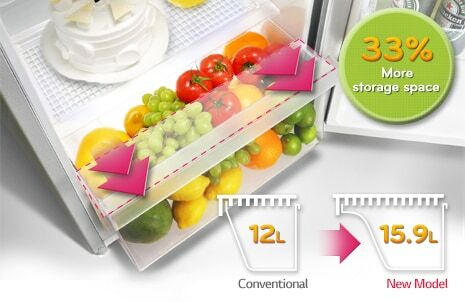 Extended vegetable box provides approximately 15.9L of storage. Big size veggie box saves your trips to the market. Just press the defrosting button! Then defrosting starts. You will find a clean refrigerator after 2 hours. Hassle free to remove ice from inside of the refrigerator. 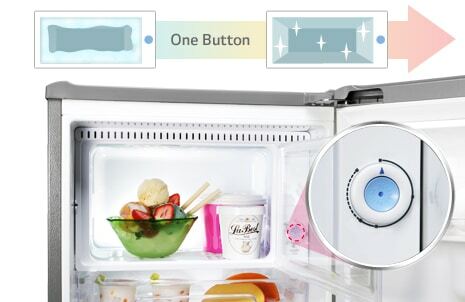 New design of refrigerator is luxurious and ergonomic! Therefore, customers would be able to conveniently grab the pocket handle.